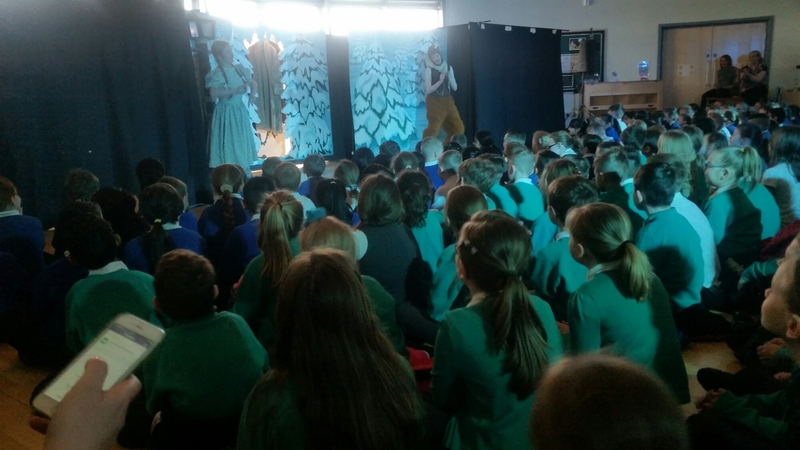 Today, we went to Herringthorpe Junior School to watch a performance of The Lion, The Witch and The Wardrobe. We watched as Lucy, Edmund, Susan and Peter were evacuated from their home in London. We saw them discover the magical world of Narnia by going through a word robe. 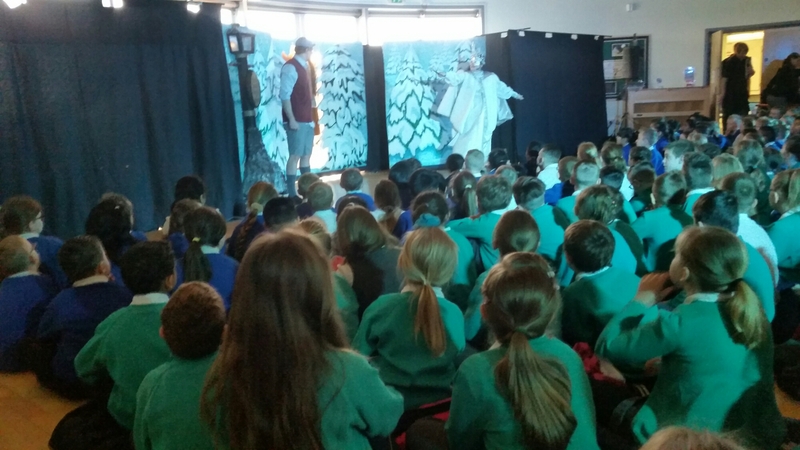 We were horrified as Edmund betrayed his siblings to the White Witch. Finally, the white witch was defeated and the siblings became Kings and Queens of Narnia. 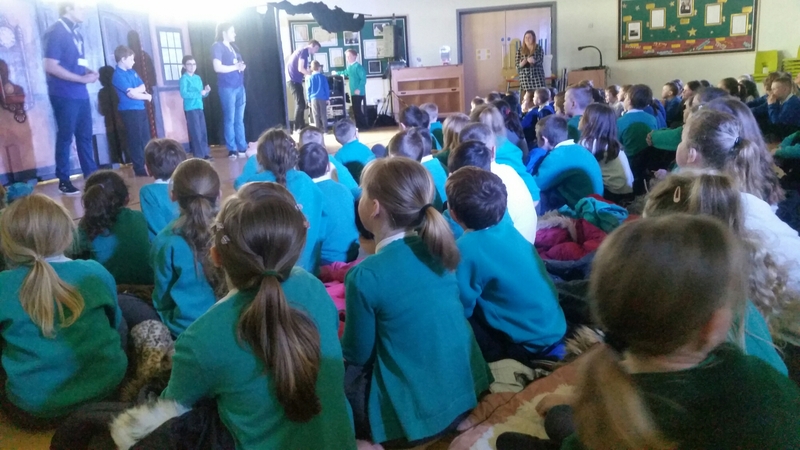 After the performance we learned all about what was going on backstage. 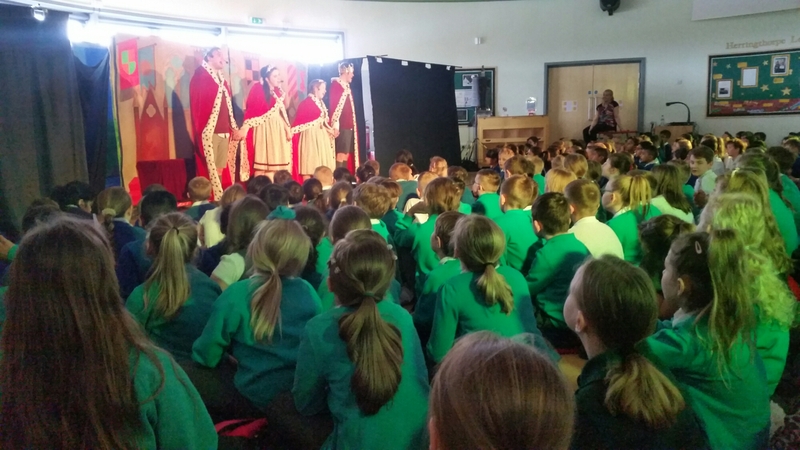 We were shocked to learn that there had only been 4 actors to play all 13 characters, move the scenery and organise the lights and sounds! 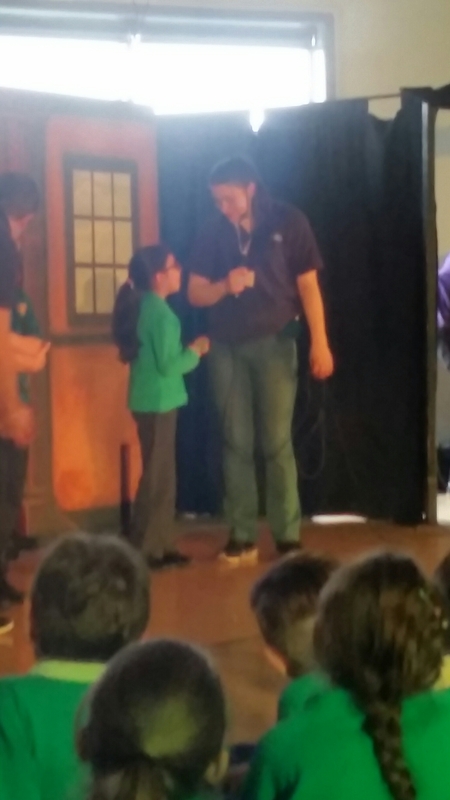 We all had a go at acting. 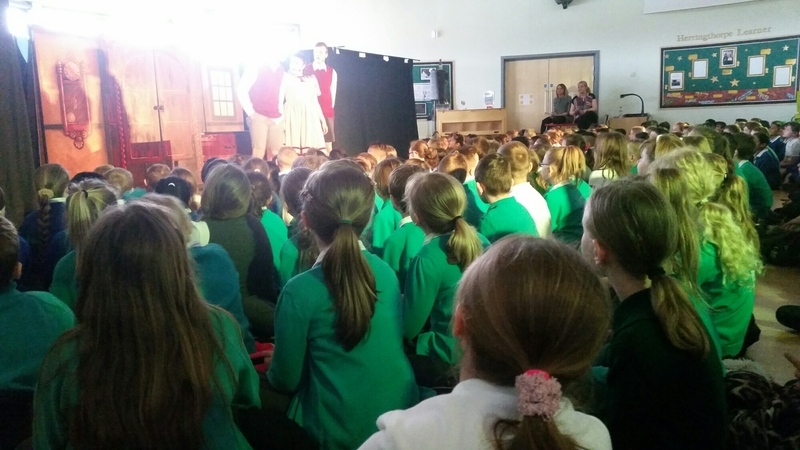 We learned that the actors use their voices, faces and bodies to create different characters. Here is our attempt at being Mr Tumnus. 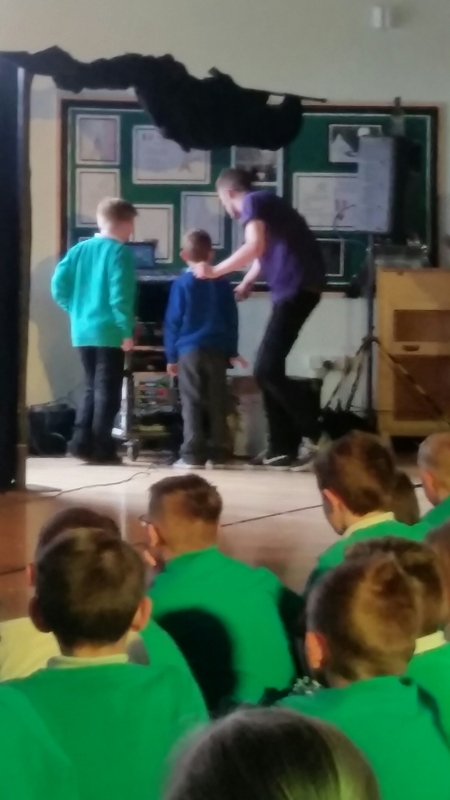 Finally, some of the children had a go at acting and adding sound effects.